During your Montmartre Tour, you will get to visit the studios, historic homes, and cafes that such luminaries Picasso, Van Gogh, Monet and Renoir made their own, and explore some of the very muses behind some of their most famous works. For example, the famed Moulin de la Galette, which is one of the last windmills left on Montmartre is behind Renoir's 1876 painting, Le Bal du Moulin de la Galette which now hangs in the Musee d'Orsay. 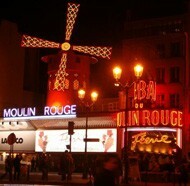 Of course, on your tour you will see more than just the windmill of Moulin Rouge. Your Montmartre tour will bring you through last one of the vineyards that used to occupy the entire hill, the Clos Montmartre, one of few remaining vineyards left in all of Paris. Along the way you'll discover some Parisian folklore as well when you visit the statue of St. Denis, located in front of the infamous spot where he is said to have washed his decapitated head before beginning his four mile walk with it. Our Montmartre tour will also you to two museums, the Musée du Montmartre located in the oldest house on Montmartre, and the Dali's Parisian Museum, the Espace Montmartre. We'll also introduce you modern Montmartre, including the Place du Tertre which is very popular with sketch artists today, and where one can easily pick up a unique souvenir piece of artwork. The Place is known for its restaurants and cafes, and is full of locals and tourists alike, eager to experience the artists cove of Paris. Are entry fees included on my Montmartre Tour? Entry fees are not needed for our Montmartre Tour, as we do not enter any attractions that require tickets during the tour. What will I see on my Montmartre Tour? You will explore the much-beloved artist arrondissement in Paris, currently undergoing a renaissance of its own and home to sites like Moulin Rouge and SacrÃ©-Coeur. 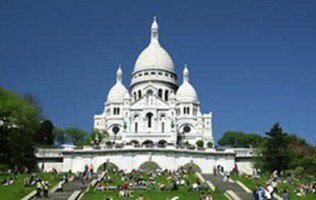 What will I get to go inside the Sacre-Coeur on my tour? Absolutely! SacrÃ©-Coeur is one of Paris most splendid sites and the view from it is unrivaled. 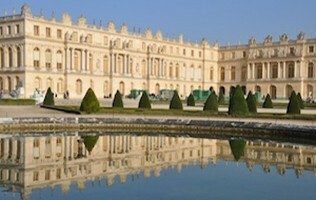 It is a â€˜must seeâ€™ for anyone visiting Paris. How will I find my Montmartre Tour guide? With your Private Montmartre Tour, the meeting spot is up to you! Typically we meet our guests at their hotel or apartment, but of course, you may also choose to meet at another location if that suits you. Will my Montmartre tour guide speak English?